Pilates classes are currently on hiatus. Please check back here at a later date for updated information. Thank you! First Class is FREE and NBE parents receive a 10% discount! "Practiced faithfully, Pilates yields numerous benefits. Increased lung capacity and circulation through deep, healthy breathing is a primary focus. 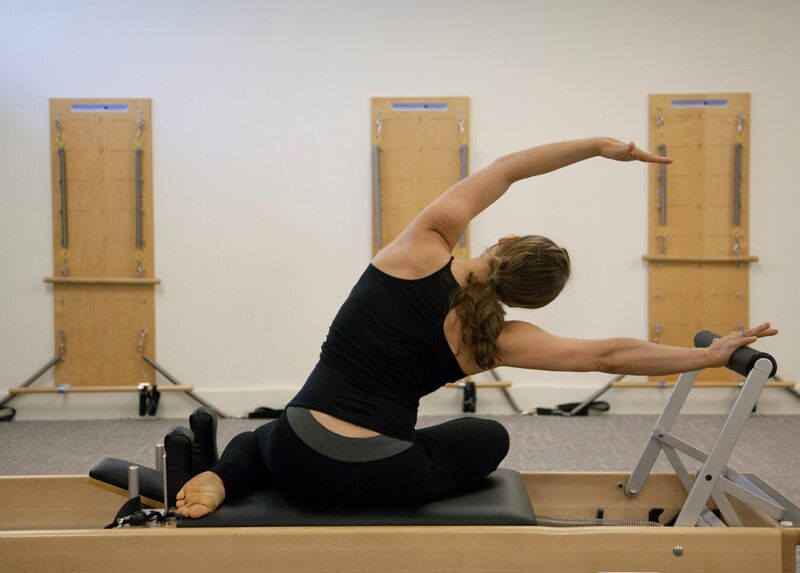 Strength and flexibility, particularly of the abdominal and back muscles, coordination-both muscular and mental, are key components in an effective Pilates program. Posture and balance, and core strength are all heartily increased. Bone density and joint health improve, and many experience positive body awareness for the first time."